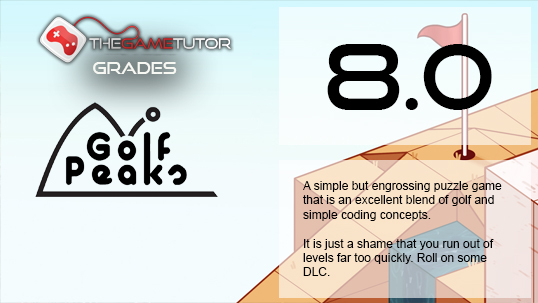 Golf Peaks is a pretty isometric mini-golf puzzle game that involves you having to complete a course using a limited number of set commands reminiscent of coding games and Human Resource Machine. 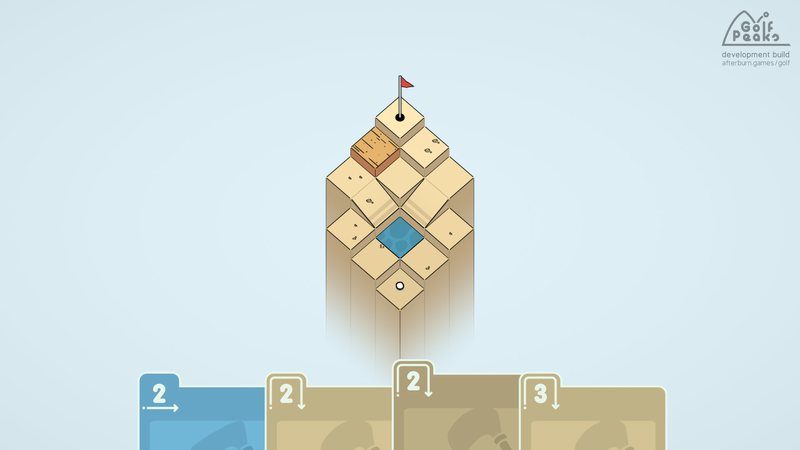 While this is not crazy golf as such there are a variety of terrain styles to mess you up and using your commands at the bottom of the screen you must reach the goal. gameplay is fun and enjoyable an just the right amount of difficulty. While there were occasions that I got stuck I never felt the situation was insurmountable and I always eventually found a workable solution. Balls can be hit straight or chipped over a number of set tiles and this affects the way in which you lay. There are also a number of other environmental hazards that mix things up and these are introduced as you head through the game. These also act to keep things fresh and never did I feel that the game was dragging throughout my entire play through. In fact quite the opposite is the main issue here in that there game was over in a few hours and I was left desperate for more levels to complete. 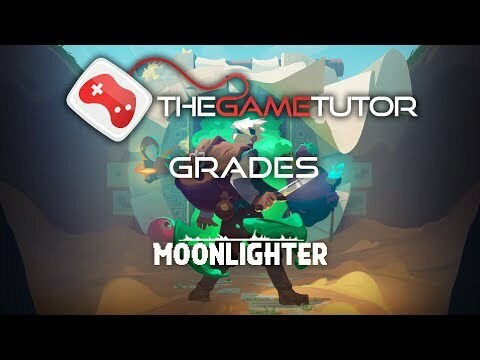 The game itself is only £4.49 but I do feel it could really do with a update to add a few more levels or maybe even a level editor which would push it to become a true classic of the genre. 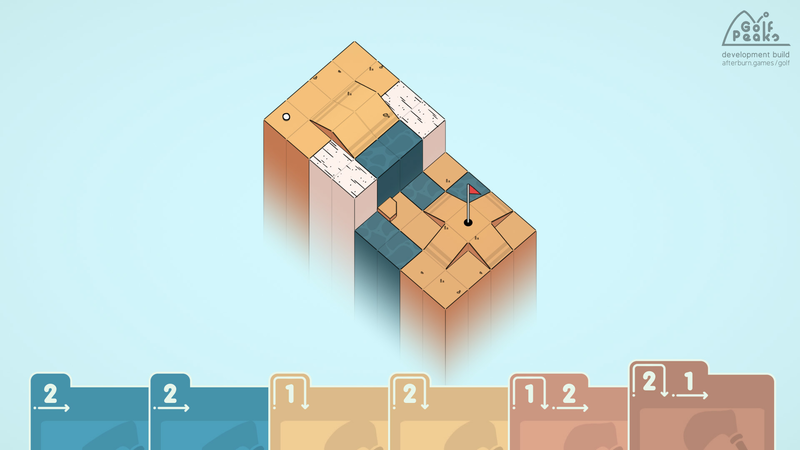 Visually the game while simplistic is crisp and well presented and helps to guide you through the mechanics of the various hazards. Overall Golf Peaks is a fantastic game that I totally recommend but just be aware this is only going to last you a few hours but if you have a long train journey coming up you you could set yourself a challenge to complete the game on a single charge of your Switch.